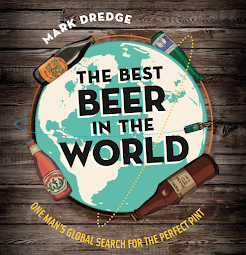 Mark Dredge - Beer: Hop OZ97a: Rejected in 1960, Rejoiced in 2015? Hop OZ97a: Rejected in 1960, Rejoiced in 2015? 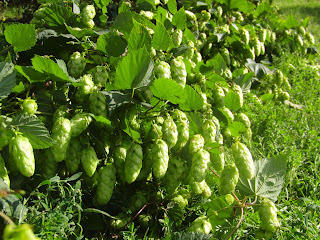 For the Spring issue of CAMRA’s BEER magazine I wrote a feature on English hops. It looked at how the industry has shrunk to a size which threatens its ongoing existence but shows an interesting future through the research, development and breeding which takes place at Wye Hops in Kent. 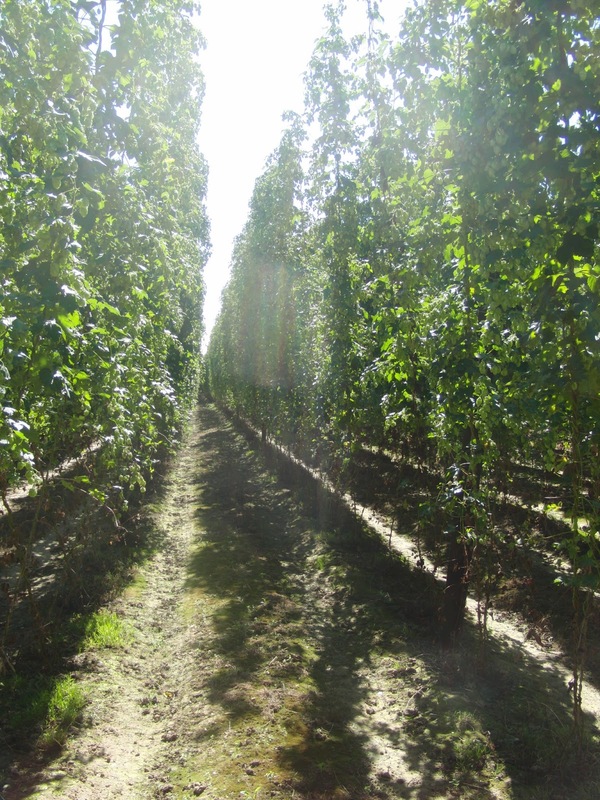 Through Wye Hops, and its previous incarnation Wye College, seven new English hop varieties have become commercially available in the last 12 years. 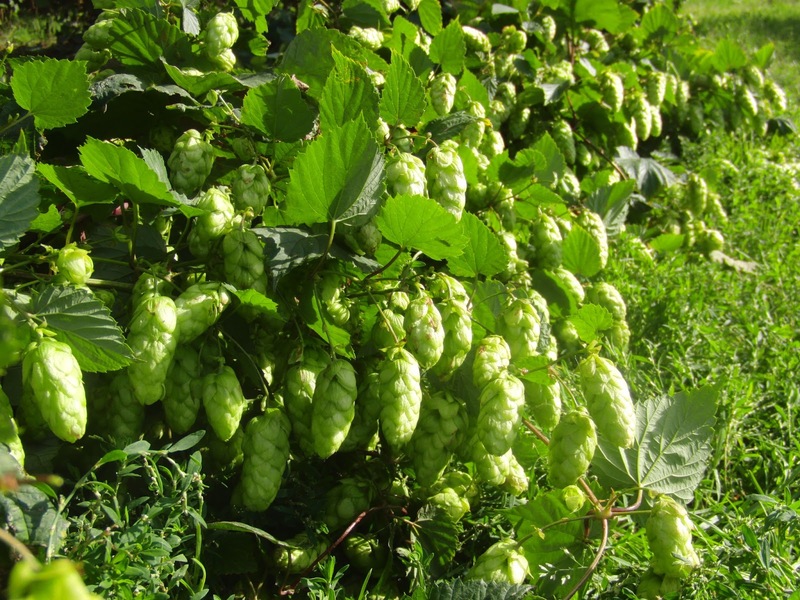 These new varieties have arrived thanks to cross-breeding and the application of new research into pest resistance and growing systems (hedgerow hops, for example, which grow lower to the ground than the typical climbing bines). Through this breeding, around 1,400 unique seedlings a year are produced, each with potential to eventually become a variety. The vast majority don’t make it, of course, but each year a few progress to further testing – the whole process of picking the parent hops to breed with to picking a decent harvest to brew with takes 10 years. Endeavour has just come through that process and others are close behind. There’s also the National Hop Collection (NHC), which holds 780 different varieties; some are female (it’s the female hops which are used by brewers) and some are male (just used for breeding). Some of the hops in the NHC were bred and developed years ago only to be rejected as being undesirable to brewers, others have simply been used as breeding hops because of positive qualities they give in the process without being tested for their own brewing characteristics. Now Dr Peter Darby and his small team at Wye Hops are exploring the NHC to see what they can find, looking at rejected old varieties and testing ‘breeding’ hops for their brewing potential. One of those hops is currently known as ‘GP75’. It was used as a breeding hop years ago because of its high resistance to powdery mildew without ever having an oil analysis or flavour assessment made on it. When Dr Darby tested it he found a grapefruit-like citrus depth. Growers in the British Hop Association liked it, there was a successful pilot brew with the hop and it’s now close to farm-scale propagation. This brings us to OZ97a. As the issue of BEER was published, Pressure Drop Brewery in North London released a beer with the 2012 harvest of an English hop called OZ97a, or the mystery ‘Hop X’ as the brewery were calling it. Sean Ayling of Pig & Porter has also brewed a beer with the 2011 batch of this hop, as has a homebrewer in Kent. 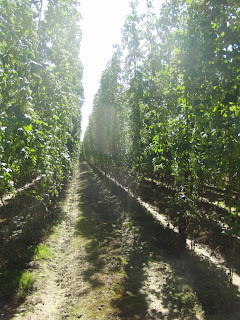 Those breweries got the hops from Kent Brewery who, in 2011, were invited to the NHC and to see the British Hop Association’s breeding programme. Being a local brewery they were interested in the local hops; being a brewery who like American-style IPAs, they were especially interested in punchy, fruity flavours from local hops. “It is our firm belief that there is nothing to stop UK hops equalling or even surpassing the qualities of [hop varieties from US, Australia and New Zealand], and that if only we could help to encourage experimentation and development we could see a revival in the hop industry in Kent and beyond,” says Paul Herbert of Kent Brewery. As there was such a small volume of hops, Paul passed them on to Pressure Drop who used them in a simple pale ale recipes on their compact 50 litre system. “The results were exactly as we hoped, producing a taste and aroma that could stand up to the very best that the New World can throw at us.” Different batches – from the homebrew to Sean Ayling to Pressure Drop – have given apricot, pineapple, lychee, grapefruit, melon and tangerine. When I tried beers brewed by Sean and Pressure Drop I tasted all of those things and more. It’s delicate, elegant, wonderfully fragrant, fruity and utterly intriguing. So what’s the story behind OZ97a? Professor Salmon ran the breeding programme at Wye College from 1906 to 1953. His work “laid the foundations for all hop breeding during the twentieth century,” writes Dr Darby in Brewery History. Prof Salmon gave us Brewers Gold, Northern Brewer, Bullion, Bramling Cross and others. Dr Darby explains: “OZ97a is a selection from Professor Salmon’s breeding programme. It was a seedling growing at position OZ97 but it was the second interesting seedling to be planted at that position over the period of his programme and so he added the letter ‘a’ to the code to distinguish it.” By the time Dr Ray Neve took over the breeding programme (he gave us Target, Challenger, Northdown and others) from Prof Salmon in 1953, OZ97a had already progressed to farm trials, which is lucky because Dr Neve re-organised the whole breeding garden and numbering system and the hop could’ve been lost. OZ97a was assessed in 1957 and 1958 and reached commercialisation stage in 1959, when it was sent for brewing trials. “With such a damning report and without Salmon to champion his variety, it was put in the germplasm collection,” leaving just two plants. From there it’s been a fortunate survivor, making it through an outbreak of wilt disease in 1978 and a major cull of breeding materials that Dr Darby was forced to make in 2006 when Wye College was closed and Wye Hops Ltd was set up (there’s too much history to go into here but it involves government funding being dropped for Wye College and the British hop breeding industry effectively becoming self-funded as a new company, Wye Hops Ltd). This is where it loops back into the work of Dr Darby, Wye Hops and the British Hop Association because “the hop collection is being systematically re-assessed by the British Hop Association [and] there are many hops in the collection which have never been assessed for their aroma or whose aroma was rejected in the past but where modern craft brewing might find more interest.” In 2012, the part of the collection housing OZ97a was part of the re-assessment and it was picked out blind as being suitable for tests as a dried hop, along with 12 others. “Dried samples of this hop were submitted to a panel of assessors at Charles Faram and the verdict was that it had intense pineapple and citrus notes: it was highlighted as one of the hops to consider further.” It was also selected independently by a group assessing the aroma potential of hops in the collection. Along with Paul at Kent Brewery, that makes three groups who have all selected the same hop from blind tests. “This cannot be a coincidence,” says Dr Darby. How many other hops were rejected 50 years ago which might be appealing to brewers today? How many wonderful varieties simply haven’t been tested for their flavour or aroma yet? Add to this the potential to then use these varieties in the breeding programme and it’s an exciting prospect. As brewers and drinkers get enticed by the juicy, fruity flavours of American and New Zealand hops, OZ97a lets us know that we can also grow them here in Britain. The conclusion of my story in BEER was that British brewers need to use British hops or face losing them. There’s a lot being done in the industry to develop exciting new varieties and OZ97a and GP75 aren’t the only ones that we should be looking at. Hopefully the next few years are going to be very interesting and produce some wonderful new British hops with flavour profiles we haven’t tasted before, complimenting the traditional varieties we’re rightly famous for. Fascinating, Mark: there's little doubt that brewers in 1960 simply wouldn't have been able to sell a beer with the flavours OZ97a has, which is why they rejected it. Today, however, we're rather more eclectic, hurrah. I very much look forward to trying a OZ97a-flavoured brew. interesting update, so are they progressing to full scale plantings now? Footnotes!? No need when all the info is in there! 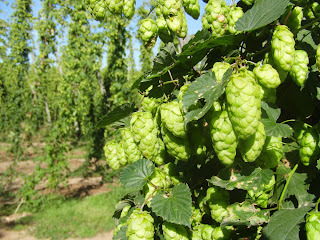 "...it will be discussed by the British Hop Association in April... If they do go ahead with [planting it] then it will be propagated during 2013 from our two plants in the collection and planted in 2014. Cropping will be from 2015 onwards..." I don't know whether that means it'll be available in 2015 or 2016 (at the earliest). It takes a long time to go through the necessary processes. I think AH Burgess came between ES Salmon and RA Neve at Wye. Ed - Do you 'think' this or do you 'know' this? I got that info direct from Peter Darby and he didn't mention a Burgess. I can't seem to find any reference online either... And Stan Hieronymus doesn't mention a Burgess, saying how Salmon passed to Neve who passed to Darby. I don't have my text books to hand but I do know one written by Burgess was published in 1964. I'll have a look when I get home and let you know. Having looked at the book I can definitely say Burgess was Head of the Department of Hop Research at Wye at one point, but I suppose he might not have been in charge of hop breeding. Some good news at last for the British Hop Industry. I had no idea this sort of thing went on! Really interesting to find out about it and good news for British hops! Excellent write - up, mate. Enjoyed that. Tastes come and go in art, so why not hops, eh? Films and music deemed 'visionary' or 'avant-garde' at the time become popular when the time comes. Kent was once indisputably the hop county.However, there are people who think it is destinied for them to have east kent golding in some of the beers! The perfect glass for IPA?